Megasoft Solutions India Pvt. Ltd. is reckoned as one of the most trusted IT based Service Providers, specializing in back-end services in the spectrum of Human Resource, Finance & Accounting, and Information Technology. In this, the company offers Payroll, Compliances HRMS, Accounting, Finance and ERP Solutions with Integration of Technology. Functioning in an ever-changing and competitive marketplace, businesses expect more from their HR personnel than delivering accurate salary cheques on time. Making your HR more efficient? Want to make your processes more streamlined and process driven? Megasoft Solutions comprehensive Human Resource Management Solution can help. 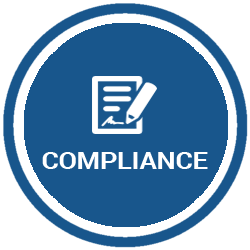 Being Compliant to ‘Laws of Land’ is not optional but obligatory and non-compliance has serious implications especially on the Director/CEO of a company. 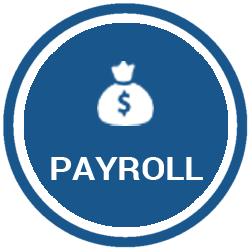 We appreciate the work of Megasoft on providing accurate and timely payroll and taxation services. This includes salary processing, Statutory Compliances, invoice generation, handling legal matters and understanding of our time-to-time accounting requirements. Our experience of working with the Megasoft team has really been wonderful and outstanding. One thing I would really like to highlight about their work is their ability to swiftly understand the service requirements and deliver extremely best in short span of time. We are known to Megasoft for a long time and over all these years they have evolved into a truly international organization. Considering the dynamism required in providing invoicing & taxation services, it was initially a very challenging task to handle such a large and diversified organization. Megasoft has been serving us with effective HRMS, Payroll & Taxation Services for a long time. Their proficient team comes up with new ideas and concepts every time that are creative as well as useful. The brilliant work they did for us is at par with international standards. © 1998 - 2017 Megasoft . All rights reserved.